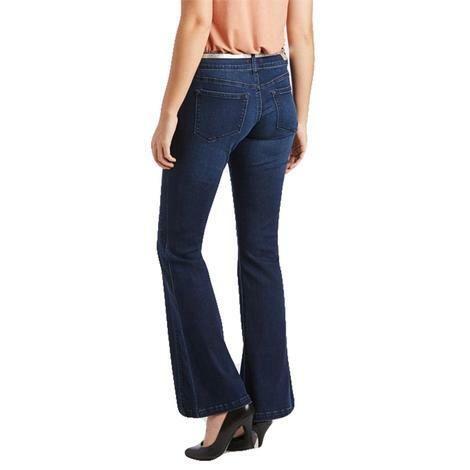 Whether headed to the rodeo or a night on the town these Kimes Ranch Jennifer jeans will look great. 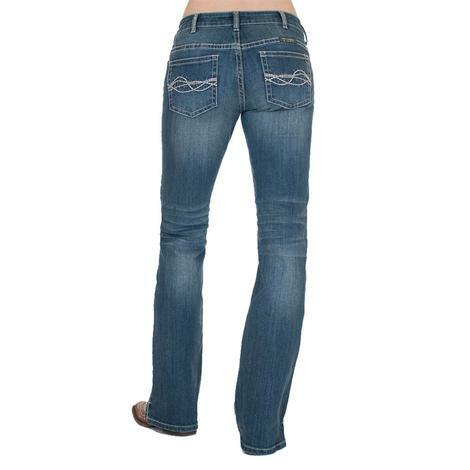 These jeans have a high rise and super flare along with some whiskering and signature embroidery on the back pockets. 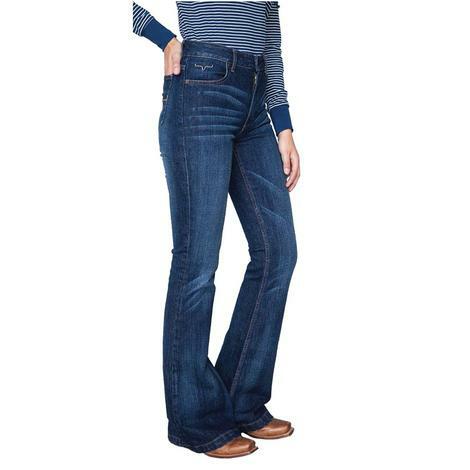 Stetson women's medium wash trouser has five pocket styling and features flared legs and a slim fit through the thigh. These trouser style jeans by Stetson sit just below the waist and have a moderate fit through the hip & thigh with a flared leg opening. Made from 98% cotton and 2% spandex. This trouser styled jean by Stetson sits slightly below the waist and features unique decorative stitching on the back pockets as well as hand sanding throughout. Flared leg. 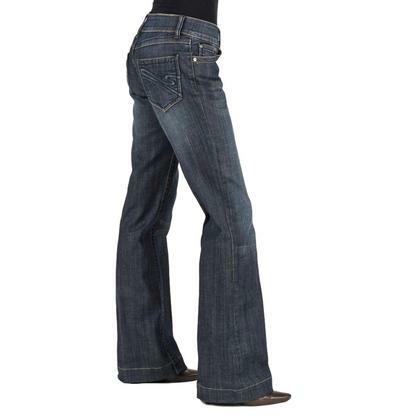 Ladies, you may well have found your perfect pair of jeans. 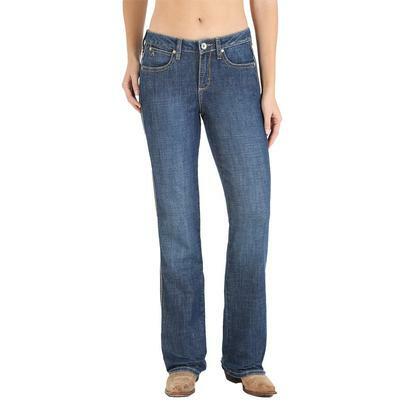 The Instantly Slimming jean from Aura from the Women at Wrangler features a signature tummy control panel. Order a size smaller than your normal size. No gap waistband. Slimming side seams. Fabric composition varies by finish. These inspirational jeans are designed in a beautiful medium wash, with a natural waist fit they are going to be perfect for your go-to pair of jeans. Featuring inspirational embroidery accents, no distressing, and signature barbed wire pockets. Standard 7 belt loop design. 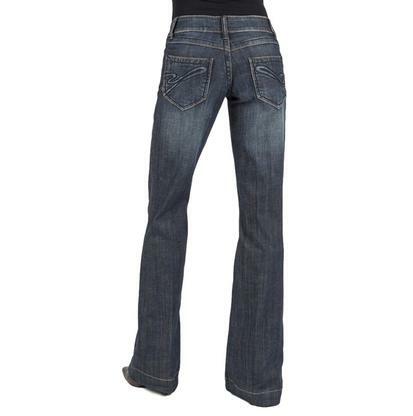 $5 from every Inspire jean purchase will be donated to Colorado Horse Rescue. 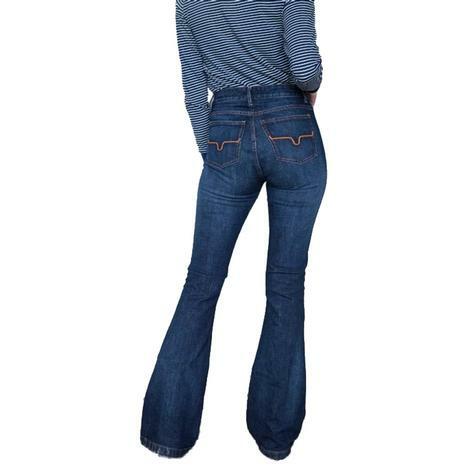 Inspired by the rough and rowty life of cowgirls these jeans will not let you down. 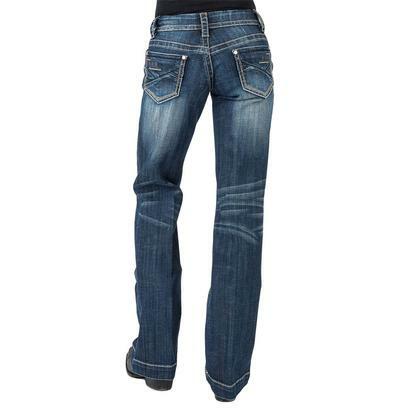 It has a classic dark wash to minimize the apperace of everyday stains. 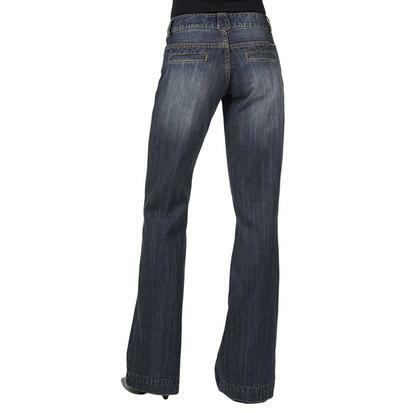 Featuring a boot cut to complete this stylish look and making these your go to pair of jeans! Tested to be your new go-to skinny jean! 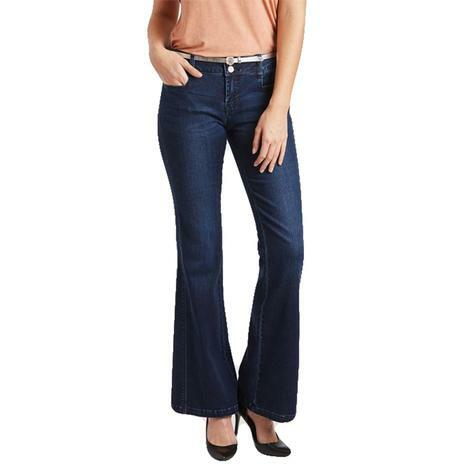 These jeans are mid-rise and cut close to the body for a look that is sleek and features performance stretch denim that is going to hold its shape! Added in some flare with the slit leg and stud design. 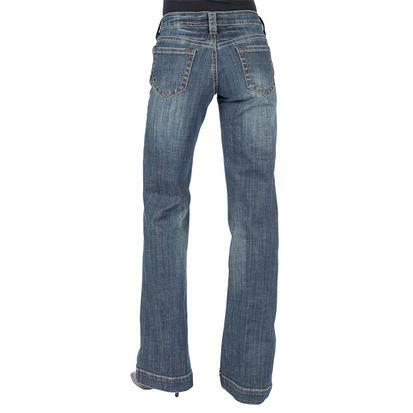 Dear John Denim presents the new and super cute Riley Harrison Highrise Straight Leg Women's Jean. They feature a highrise design that is straight leg at the bottom. They also have five functional pocket, light whiskers, fading, and a button and zip closure. These come in Harrison which is a light wash color and would look great worn with flats!